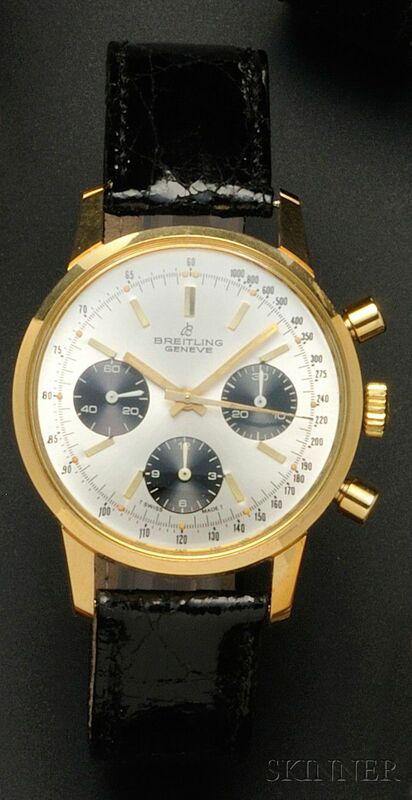 Stainless Steel Chronograph Wristwatch, Breitling, the silver-tone metal dial with baton numeral indicators and subsidiary dials, automatic movement, no. 1439637, completed by a black crocodile strap. Watch is running and setting. 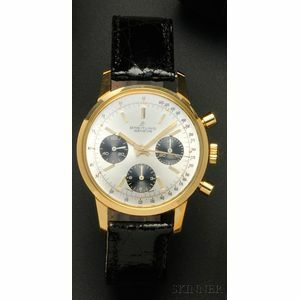 Gently used condition, c. 1970's chronometer, back is off, gold finish over stainless steel.